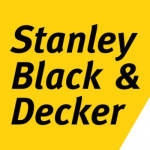 Stanley Black & Decker is seeking a Data Acquisition and Controls Engineer for Industry 4.0 at Stanley Black & Decker. Since 1843, Stanley Black and Decker has been committed to innovation and social responsibility, while becoming a leader in multiple industries. Stanley Black & Decker has created this state of the art manufacturing incubator to accelerate its global Industry 4.0 “smart factory” initiative across the entire organization. The 23,000-square foot facility will serve as a hub for the latest advancements in IIoT, cloud computing, artificial intelligence, 3-D printing, robotics and advanced materials. This team will set the overall vision and strategy for the company’s Industry 4.0 initiative and supply the resources and expertise necessary to serve as the epicenter for the latest technologies and processes with respect to Industry 4.0. 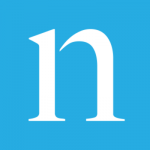 The primary role for this position is to provide the design to rapidly connect machines to a monitoring/supervisory system, collect and store inputs (discrete & analog). The ways/means to accomplish this vary from site to site and field hardware PLC manufacturers vary as well. Allen Bradley, OMRON, Siemens, Mitsubishi, and FANUC are some of the PLCs in use at our facilities. Some machines have no PLC. For these types of machines, data designs must be made to provide machine feedback and status monitoring. The successful candidate will have a vast experience with writing ladder logic, PLCs and the field I/O (both analog & digital), Kepware/OPC Communications, Ethernet Communications, Field Wiring Installation & Industrial Wiring Safety Standards. In remote or isolated machine conditions, machine/process monitoring will be done via wireless sensors/networking to a wireless gateway. Conducting an initial site investigation at facilities to fully understand the machines, existing wiring, and what is required to make machine connectivity successful at that site. Design Pilot / POC for new data collection technologies. Advise/Layout the Installation Plan with the Data Enablement Technician that will be performing the installation with you. Upon conclusion of the investigation, the candidate must propose options and recommendations on machine connectivity and what best fits the application given the plant’s existing hardware/wiring configuration. Get quotes/bids on field wiring, panel fabrication (if required), and hardware and sensors. Candidate will also help to supervise field wiring installation with Data Enablement Technician. Train/support plant personnel with regards to the new equipment installed. Advise on any maintenance schedules required for the installed hardware. Also support the facilities going forward as they strive for Industry 4.0 aspects of manufacturing. Design the processes and standards of data collection from equipment, hardware selection, and implementation model for the Industry 4.0 program. Write, modify, and trouble shoot ladder logic, PLC and HMI programming written by outside suppliers and able to extract key piece of data from equipment. Accountable for instrumentation, controls wiring design, system commissioning, & startup. 2 year associates degree in technology with adequate experience or 4 year degree with some experience in Industrial Controls. Good communications and personal skills to convey the concepts of Industry 4.0 to the plant personnel as it applies to the installation being conducted. For the builders and protectors, for the makers and explorers, for those shaping and reshaping our world through hard work and inspiration. Stanley Black & Decker works to provide the tools and innovative solutions to propel people to their goals. They collaborate with one goal in mind: empower people to do better, safer, more significant work. They define success as: delivering value to their customers, colleagues and communities. Their commitment to quality, safety and sustainability keeps them focused on their path to becoming the type of uniquely human-centered global industrial company that keeps every stakeholder in mind, while being “For Those Who Make The World”. Stanley Black & Decker, an S&P 500 and FORTUNE 500 company, is the world’s leading provider of tools and storage, the world’s second-largest commercial electronic security company, and a leading engineered fastening systems provider, with unique growth platforms in the Oil & Gas and Infrastructure industries. With industry elite partners such as DEWALT, Porter-Cable, Craftsman, Bostitch, Lenox, and more: Stanley Black & Decker provides to the tools to build the world. Learn more about Stanley Black & Decker at http://www.stanleyblackanddecker.com/.